Iris Hay's positive experience of Homeopathy at a time of personal crisis led to a career change. 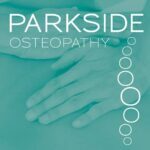 Now, with one BSc in Homeopathy later, the relevant memberships and accreditations in place, experience gained at the renowned Ainsworth Homeopathic Pharmacy and the Hale Clinic, and Iris is practising here in East Sheen. Homeopathy can be used in wide variety of cases to treat both physical and mental conditions, including: asthma, hay fever, ear infections, depression, stress, anxiety, grief, allergies, dermatitis, high blood pressure and arthritis. Iris has a special interest in children and women's health, including period problems, menopause and PMT. She sees patients at the Sheen Therapy Centre or, if they prefer or it's more convenient, at their home or hers.